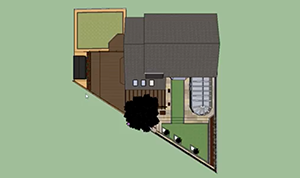 Without doubt the most important aspect of any garden project lies within its design. All your aspirations, your needs, your preferences, your desires and then your abilities to maintain it, need to be thought through and planned upon. 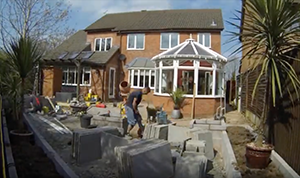 For us, one of the most satisfying aspects of landscape solutions is that no two jobs are the same. To enable us to build your dream, we first need to establish what that dream is. Garden design is not an off the shelf product. What's more it should never be rushed. 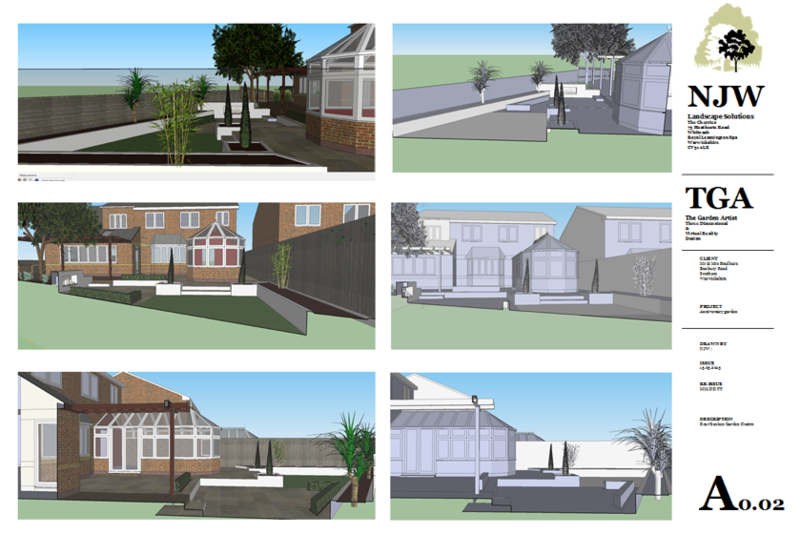 We genuinely believe that NJW Landscape Solutions leads the field in landscape and garden design. 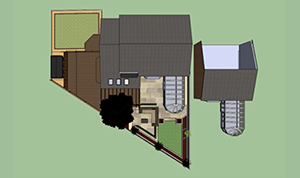 Here is what you can expect with our design service. 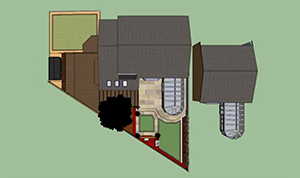 Firstly: We will look at the area in question, taking measurements, dimensions, photographs, soil samples and so on, observing local privacy conditions and neighbouring effects, such as overhanging and shadowing trees. The next stage is to discus with you what you would like the garden to offer you. What reasons are behind the makeover? Looking to sell? Looking to invest? Who is looking to use the garden? What are your social aspects / entertaining within the garden? How able you are to maintain or make your way around the garden? What are your colour preferences? Do you have existing planting with sentimental wishes to keep them? What budget do you feel comfortable to invest? And so on. Then you leave it to us. We then submit to you several 3D design styles, for example; traditional style, contemporary style, symmetrical or flowing softer styles. These designs are normally submitted to you via a You-Tube link for you to view in your own time. 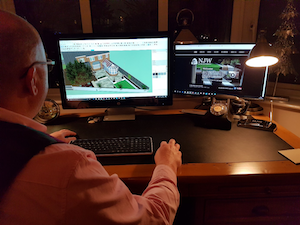 It is not our expectation that at this stage you choose your final design, but that you look at each design and gain preferences for your next more personal design. 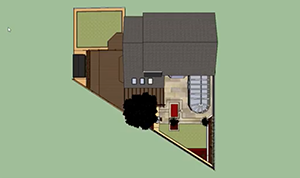 These preferences may be for instance; the sunken patio garden idea from design 1 but in the contemporary style from design 2 while incorporating a hidden garden ruined folly from design 3, and so on. We then compile your preferences and establish a closer design to your wishes. It is at this stage that again we lead the market. This next design can be in both 3D and virtual reality format, and is the most exiting stage in the design process. 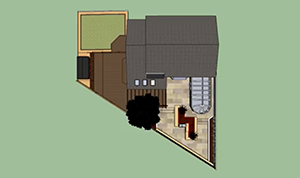 We can take you on a virtual tour of your perfect garden. Showing how dimensional aspects of the design look in reality. Do you feel comfortable with the depth of the sunken area? Does the contemporary feel work as well as you wished? Now that the design stage is almost complete we look at implementing lighting and power sockets. This gives your garden an unrestricted potential and gives opportunities such as, wishing to use your laptop that is low on battery life out doors, plugging in heaters or music, for lighting specimen plants, or celebration lighting for a birthday party. The final stage is to bring to you material samples for your perusal. Looking at how, in their intended position, they look wet, dry in direct sun or shade. How the colours work with planting schemes and with our knowledge of the current landscape market place what it will cost to build. All that is left is for it to be built.